The Innovalia Group, a strategic alliance of 6 technology-based companies, will hold its sixteenth edition of its traditional Convention in the Barco Building (101) of the Bizkaia Technology Park in Zamudio on Friday, July 6th. 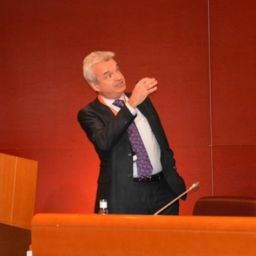 To open this XVI edition, the assistants will enjoy a special welcome from Jesus de la Maza, president of the Innovalia Group, that will lead to the rest of the interventions from the CEO’s of SQS, CBT, Redborder, CARSA, 3DKumo, Innovalia Metrology and Technarte. During the convention, Innovalia will have a guest of honor, Manuel Salaverria, president of Innobasque who will share the Innovation keys and future challenges in the Basque Country. 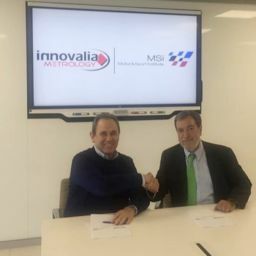 Following the contribution of Manuel Salaverria and aligned with all the future needs of the Industry, The Innovalia Group will present a new and important business unit of the Group: Digital Innovalia. Thanks to the digital essence of the Innovalia Group and the companies that are part of it, we are seeing come to live Digital Innovalia as one solid unit formed by SQS, CBT, Redborder, CARSA and Technarte. Digital Innovalia will maximize and use all the know-how and experience from these companies, digital leader on their fields, to lead other companies to the digital transformation. Starting from the design of its digital strategy, following with the implementation of technology, Innovalia Digital, thanks to the Group’s extensive experience, will begin to have an active presence in the Basque Industry in the upcoming months. The Innovalia Group, will gather on this day the main actors and representatives of the Basque Country and national industry to make them participate in the Digital Innovalia presentation. The aim of this Convention I to create a space where the main businessmen and organizations can discuss, share and build together.